See the full list of award winners, including sponsored awards and extensions. The sixth Annual Hollywood Fringe was a huge success according to festival organizers, with record-breaking online ticket sales and attendance. Official numbers and year-to-year comparisons will be released in the coming weeks after the settlement is complete. 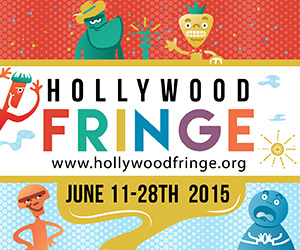 The Hollywood Fringe Festival is an annual, open-access, community-derived event celebrating freedom of expression and collaboration in the performing arts community. Each June during the Hollywood Fringe, the arts infiltrate the Hollywood neighborhood: Fully equipped theaters, parks, clubs, churches, restaurants, and other unexpected places host hundreds of productions by local, national, and international arts companies and independent performers.